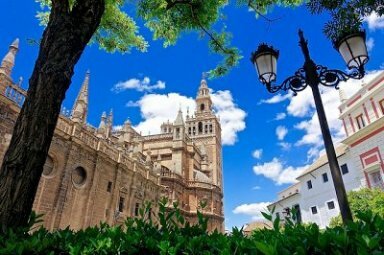 These 10 days in Spain includes Europe's highest capital (in altitude) with his great neighbour UNESCO towns of Toledo, Aranjuez, Alcala de Henares, Escorial and Segovia, and Andalusia's ancient city of Seville. 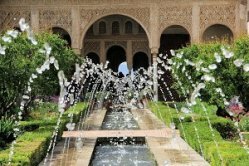 You'll enjoy a great tour to Granada, visiting the palace and fortress complex of the Alhambra. 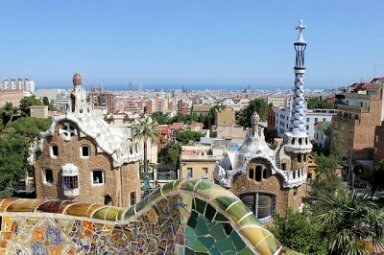 Finally take the fast AVE train from Seville to Barcelona and discover this beautiful city with its Gothic cathedral, Antoni Gaudi's Sagrada Familia, and the eye-catching architecture and superb beaches. 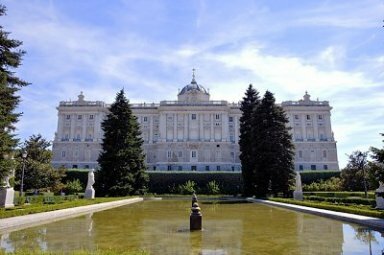 Palacio Real in Madrid is no longer occupied by royalty, but used for state occasions, the Royal Palace stands in the heart of Madrid on the bank of the Manzanares River. It was built in the mid-18th century over the site of a former palace. It's not Versailles, but mighty impressive, with 2.000 some rooms, many of them palatial. No one has lived here since the king fled in 1931, but the chandeliers, marble columns, and ornate, gilded borders, paintings, and objects d'art, including Flemish tapestries and Tiepolo ceiling frescoes, are still well preserved. The empty thrones of King Juan Carlos and Queen Sofia are among the highlights of the tour. 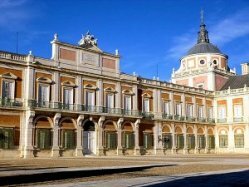 They live in Zarzuela Palace, on the outskirts of Madrid. Sometimes a city becomes famous for its beauty and romance. Seville (called Sevilla in Spain), the capital of Andalusia, is such a place. 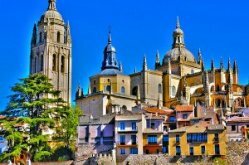 In spite of its sultry heat in summer and its many problems, such as rising unemployment, it remains one of the most charming Spanish cities. 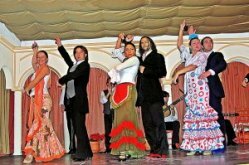 All the images associated with Andalusia - orange trees, mantillas, lovesick toreros, flower-filled patios, and castanet-rattling gypsies - come to life in Seville. 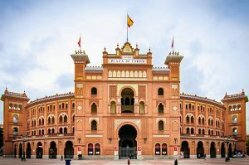 But it's not a tourist city; it's a substantial river port, and it contains some of the most important artistic works and architectural monuments in Spain. Granada, this former stronghold of Moorish Spain, in the foothills of the snowcapped Sierra Nevada range, is full of romance and folklore. Washington Irving (Tales of Alhambra) used the symbol of this city, the pomegranate (granada), to conjure up a spirit of romance. In fact, the name probably derives from the Moorish word Karnattah. Some historians have suggested that it comes from Garnatha Alyehud, the name of an old Jewish ghetto. Granada lies 2.200 feet above the sea level. 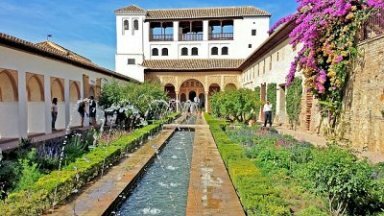 It sprawls over two main hills, the Alhambra and the Albaisin, and it is crossed by two rivers, the Genil and the Darro. 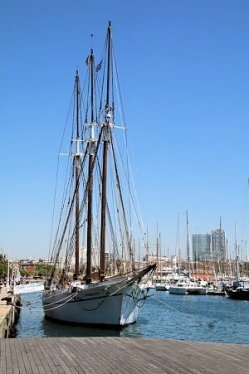 Blessed with rich and fertile soil, an excellent harbor, and a hardworking population, Barcelona has always prospered. The city's most powerful monuments are those that open a window onto its history: from the intricately carved edifices that comprise the medieval Gothic Quarter; to the curvilinear modernismo that inspired Gaudi's Sagrada Familia; to seminal surrealist works of Picasso and Miro, found in museums that peg Barcelona a crucial incubator for 20th-century art. 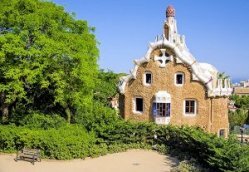 Some of Gaudi's most distinctive creations include the Casa Mila, the Casa Batllo, Parc Güell and the surrounding neighborhood, and the never completed landmark Temple Expiatori de la Sagrada Familia. Todd and I just wanted to once again send you a great big thank you for all of your expertise in arranging our trip to Spain. It was a wonderful holiday! 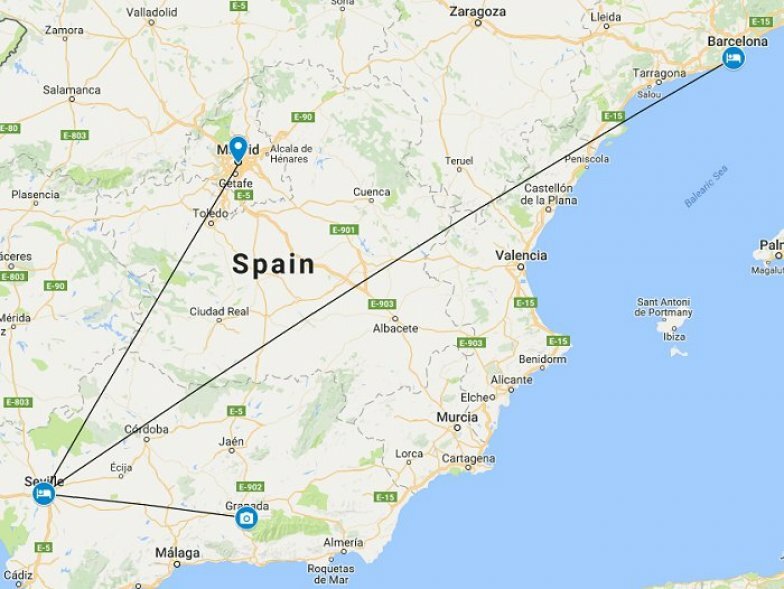 We loved Madrid, Cordoba, Sevilla and Jerez - had a fantastic time. 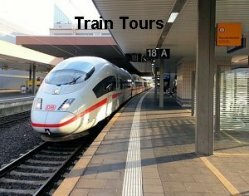 We were very impressed with the hotels and the suggestions on what to see. You are 4 and 0 with us :) Germany, France, Scotland and Spain. That's a very impressive score... no wonder your country won the World Cup ;). I'm sure we will be in touch shortly for some discussion on where our next adventure should be. Wonderful, wonderful trip to Spain. Thank you so much for your assistance in crafting an excellent trip. The hotels were great and the guides were amazing. Everything was simply perfect.